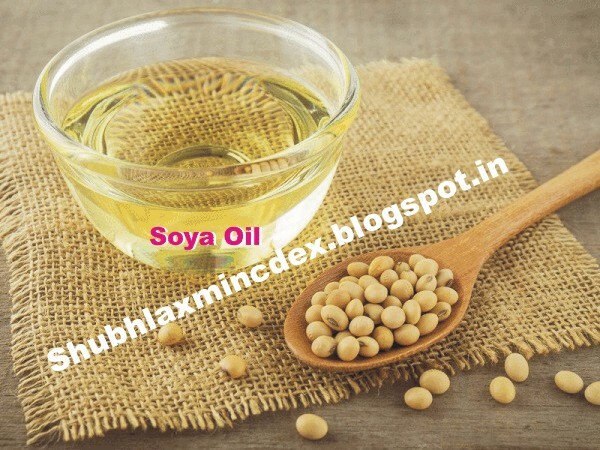 Adjacent chart shows price movement of NCDEX soya oil continuous contract. 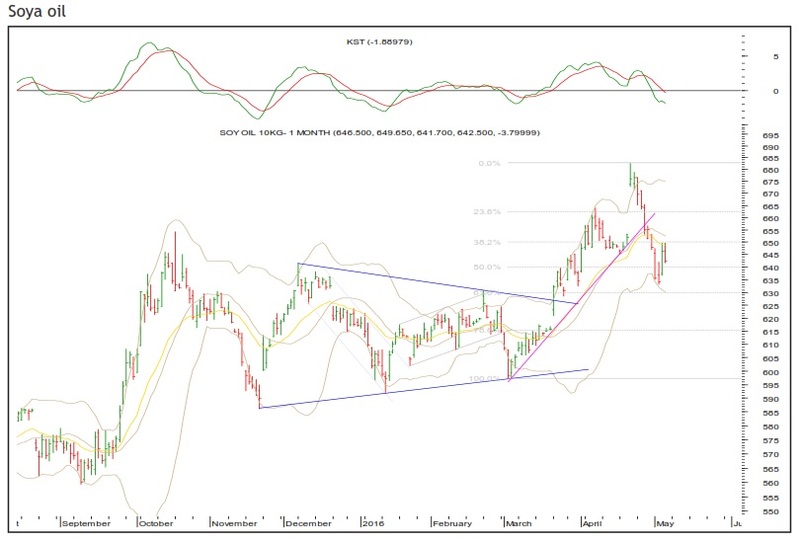 Structurally the oil formed a multimonth triangle, which broke out on the upside. From there the oil rallied nicely. The up move got over at 682.70. 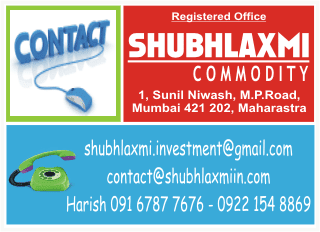 From there the agri-commodity has entered correction mode. The daily momentum indicator is in bearish mode. A minor degree bounce faced resistance near the key daily moving averages (DMAs). Thus the next leg down is expected to start off, which can target Rs621-615.5. on the flip side, Rs652-657 is a key resistance zone on a closing basis.